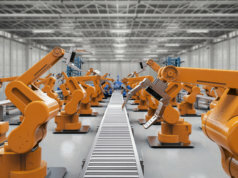 Home Analysis Will robots fill gaps in UK farm labour market? Will robots fill gaps in UK farm labour market? With Brexit on the horizon and the continued freedom of movement for migrant workers uncertain, the UK’s agriculture industry is facing uncertain times. 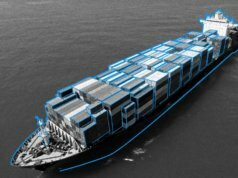 Researchers from the University of Plymouth are testing a fleet of robots with the potential to fill the gap while cutting overheads. As long as harvesting remains the most cost-intensive part of food production, farmers will be on the lookout for ways to bring costs down. For this reason, UK agriculture has been heavily dependant on migrant workers from the European Union in recent years. Beyond the Brexit deadline of 29 March next year, it’s likely that a transitional period will give UK farmers an opportunity to explore new technologies. But automation in agriculture can’t afford to be clumsy. In particular, fruits and vegetables are often delicate, hard to spot for the untrained eye, and come in all shapes and sizes. 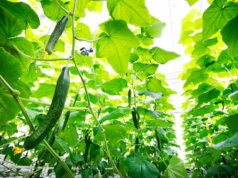 That’s why dedicated technology is being designed to pluck cucumbers from German fields. It also explains why a similar process is underway to assist Cornwall’s cauliflower industry. Introducing robotics into agriculture is going to be an expensive business. Solutions that are interchangeable and adaptable stand the best chance of gaining traction. One example has been developed by Plymouth University’s robotics lecturer Dr Martin Stoelen. His team’s GummiArm robot has been designed to harvest as a human would. It has jointed arms, the strength of which can be made soft or stiff depending on the task at hand. 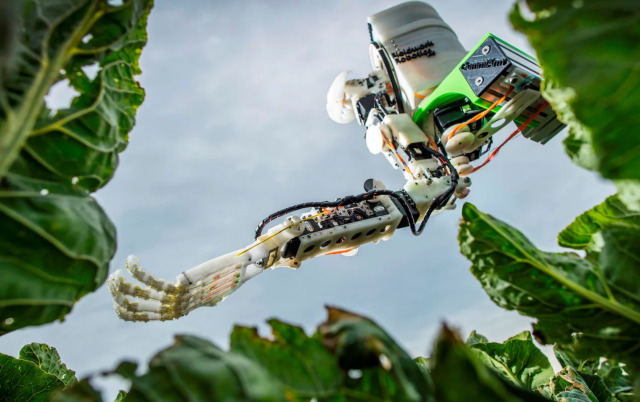 Dexterous fingers fitted with sensors assess crops in real time. Essentially it’s been designed to replace a farmer’s instinct. “Ultimately, machines such as this will make life easier and simpler as a farmer,” said Dr Stoelen. Plymouth University’s exploration into cauliflower-picking robots has been dubbed ABC, which stands for Automated Brassica harvest in Cornwall. Speaking to the Telegraph, Dr Stoelen said that a finished version of the robot could be ready to aid UK farmers within two to three years. And it’s not just tipped to improve efficiencies and lower costs. With fewer humans involved in the harvesting process, there would also be less risk of accidents and incidents involving fingers, heavy machinery, and trips to A&E. And as with all applications of robotics, AI, and/or the IoT, there is big data, of course. “These robots are going to be a massive big-data application,” he added. 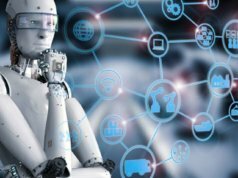 “This technology is evolving rapidly, costs are coming down, and developments can happen fast, which means it’s not too long before technology like this becomes a practical and commercially viable reality,” he continued. David Simmons, MD of Project ABC partner Riviera Produce, has farmed in Cornwall since the 1870s. “Harvesting costs can be up to 40 percent of the production of brassicas, and skilled labour to do the harvesting is getting increasingly difficult to obtain, especially with Brexit fast approaching. Whichever side of the political divide you might be on, one thing is clear from Brexit: the UK is going to have to get smarter, fast. And robotics, autonomous systems, and AI are a core part of the mix. 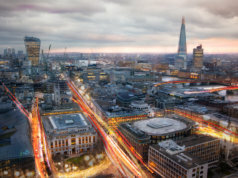 The challenge for the UK, however, is that while it has made many good strategic decisions in the past two years, such as the new Office for AI, and the Sector Deal for AI – both of which should go live this week – the country is investing too little money in these new technologies, and large chunks of that funding come directly from Europe. Alongside this, the government faces the challenge of protecting the rights of those workers who stand to miss out in the face of rising automation. Without agile policy responses to rapid changes in industry, the economic gains to be had from technological advancements may benefit business leaders but damage society as a whole. More on this in an upcoming exclusive report with one of the UK’s leading academics and roboticists. Meanwhile here are two reports that examine some of the challenges facing the UK.